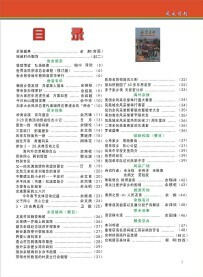 Welcome to the 24th issue of the Yee Fung Toy Global Village Voice, an electronic newsletter for the World Yee community. 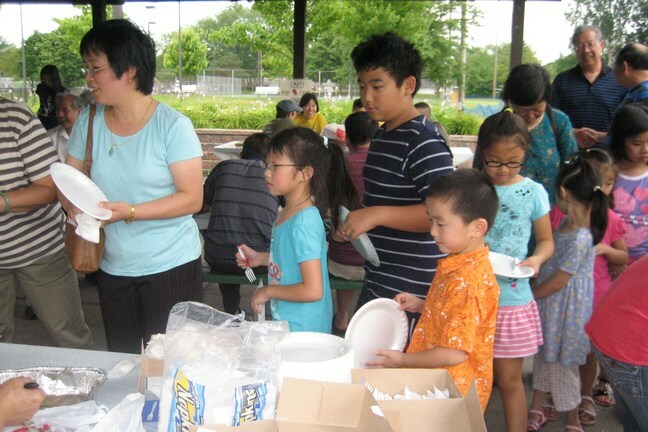 In this issue we are featuring summer activities from associations of the Yee Fung Toy around the world. 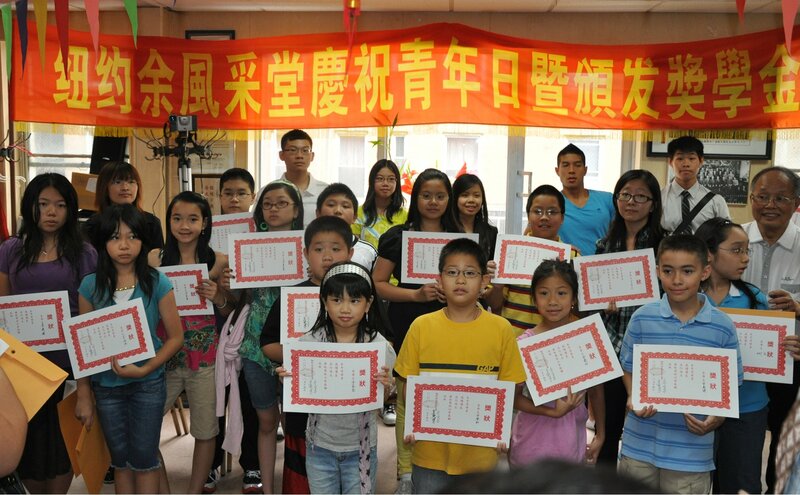 This issue covers some of the summer activities of the Yees around the world. 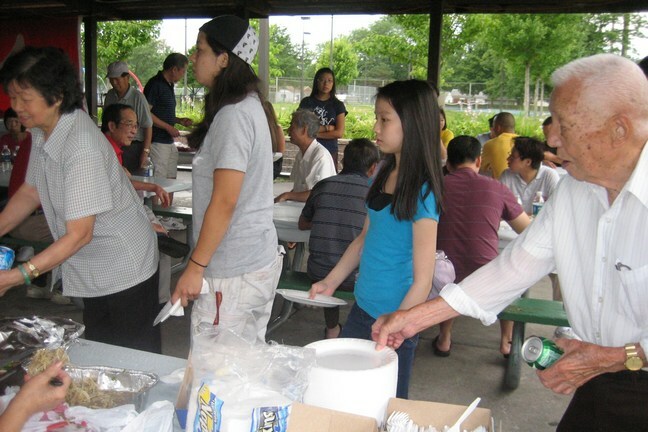 We welcome more Yee chapters to contribute events and activities reports from their locale. We look forward to our seventh year of publication, and many more years to come! Southern California YFT celebrated parents day and scholarship awards on July 11th, 2010. July 4,11,18 & 25 - Sunday, 1-3 PM. Applications for this years scholarship will be accepted. Please bring original report cards for the whole school year to our hall. 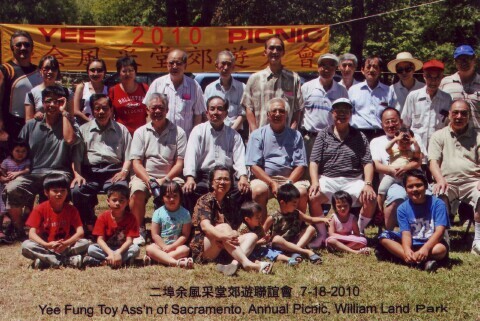 July 17th, Saturday - Annual Picnic. 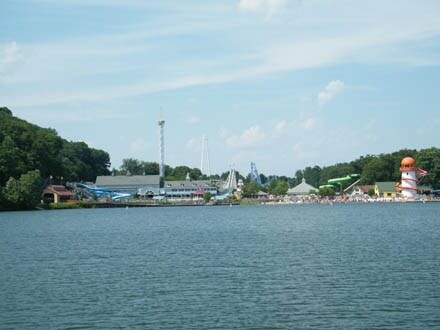 This year we will be going to Blackbeard's Cave, Bayville, NJ. Meet buses in front of American Legion Building, 191 Canal St, between Mott and Mulberry St at 8:30AM. Buses will leave at 9AM sharp. 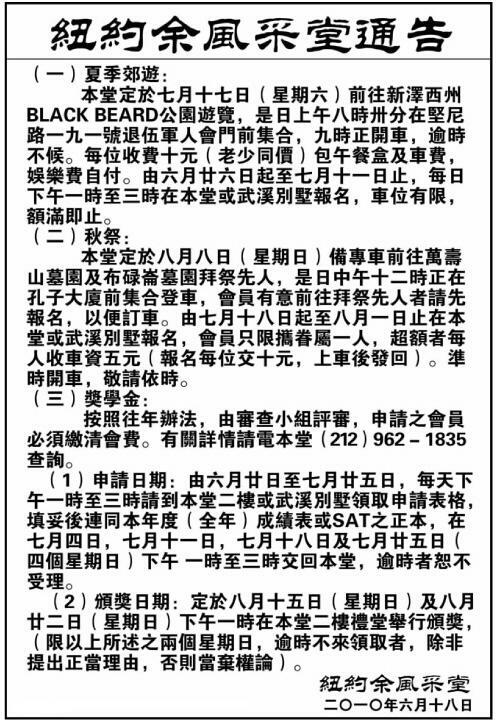 Return buses leaves Blackbeard's Cave at 4:00 PM. 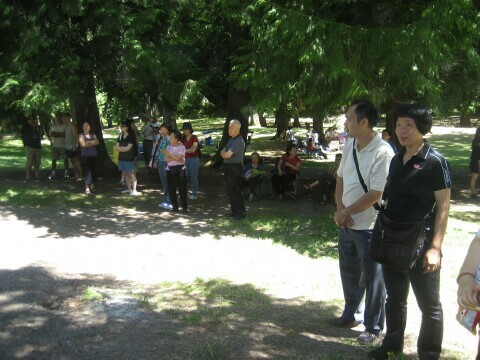 August 8, Sunday - The Association will be going to visit cemeteries again （秋祭）for this year. Please stop by for more information and sign up. 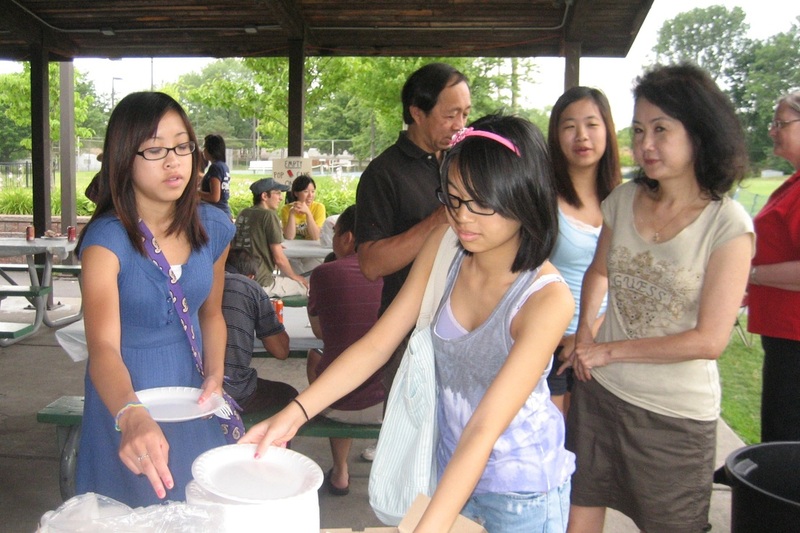 August 15 and 22, Sunday - 1PM; Scholarship awards will be given out at association's hall. 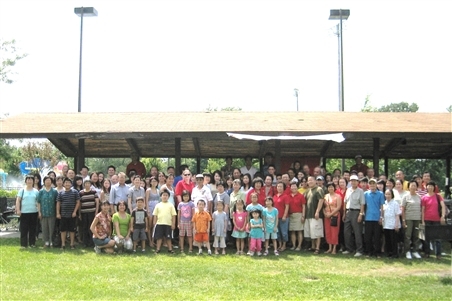 The New York Yee Fong Toy Association held its annual picnic on July 17, 2010 at Blackbeard’s Cave – Family Recreation Center in Bayville, NJ. As coordinator, the one factor beyond my control for a successful outing was the weather. The weather in June this year was extremely hot, humid and rainy. This has been truly a Year of the Tiger. Although the turnout was slightly reduced, we still had about 150 people willing to make the commitment to have a day of fun. 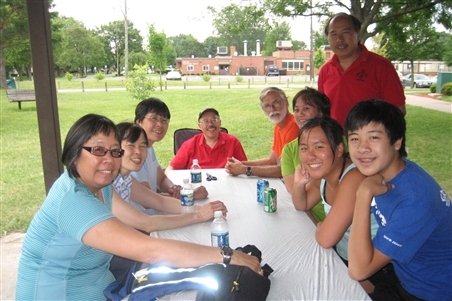 I was grateful along with our faithful group that Ah Goong provided us with reasonable good weather for a July outing day. Everyone arrived promptly to board our three-chartered buses. Although Advisor Gong (鋼深) had a last minute family matter to take care of, I was lucky that Janet and David from our youth league step up to manage his bus. 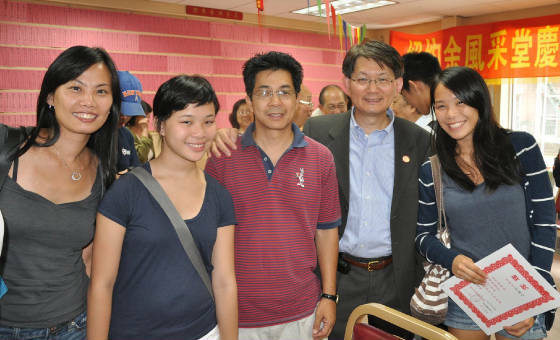 I was confident that with Janet and David, my partner Dian Rong (典榮) ,Yao Wei (耀威) and Jackie (靄瑜), we could handle any matter that may arise. As expected, we left and arrived on time without a hitch. After everyone got their wristbands and box lunches, we took some group pictures. Then some scattered for fun while others found a cool spot to relax. 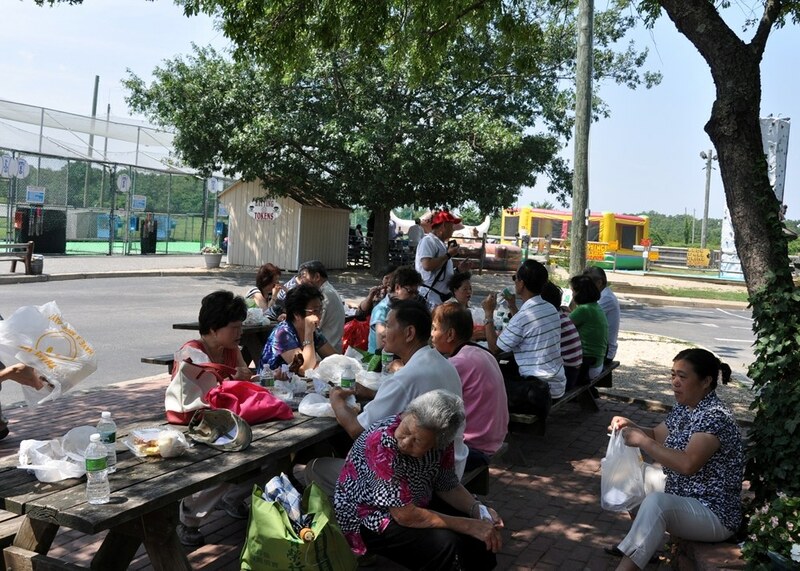 As I walk around, I was glad to see some older folks playing MJ, parents participating with their children and some just sitting and chatting with each other. 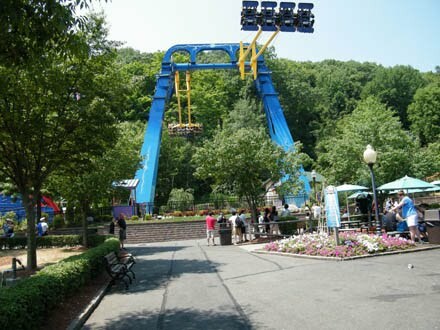 Although Blackbeard’s Cave was a smaller amusement park, it has something for all ages. 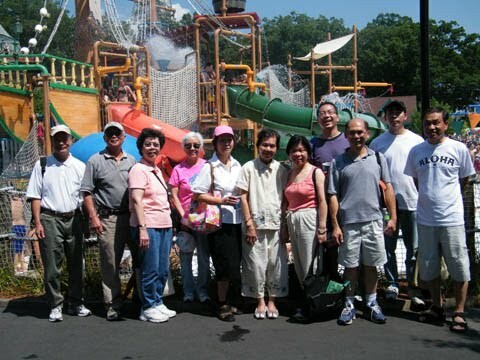 For those willing to get wet, they enjoyed the water bumper boats equipped with water guns to shoot water at each other and catapulting water balloon at each other in water wars. 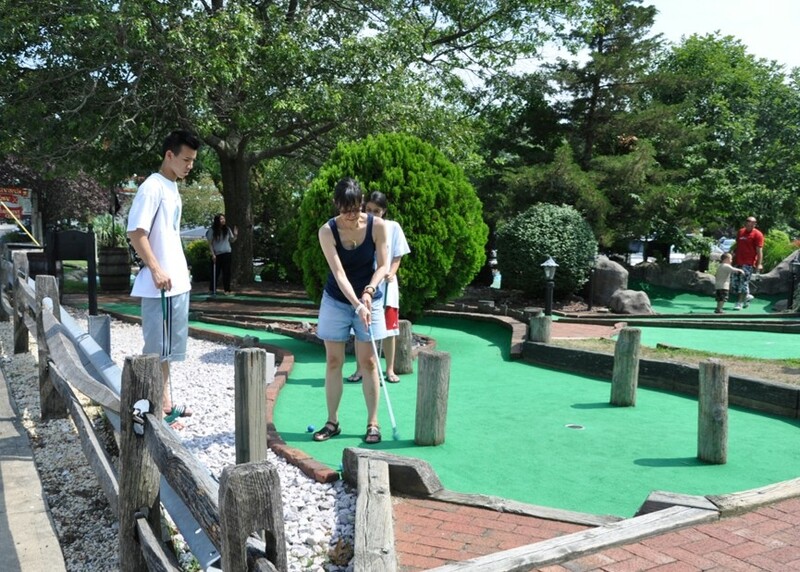 For those willing to show their skills, they went to play on the 20-hole mini golf, wall climbing, archery, batting cage and many other activities at the video arcades. For others, there were Euro-Bungee trampoline, 350-yard driving range and, best of all, the ¼ - mile Go-Carts track. On this track, one had to maneuver up bridges, tunnels and turn at the same time trying to out run your fellow Go-Cart drivers. This year, I enjoyed the time spent with Yao Wei and David as well as chatting with fellow members whom I often do not get chance to. 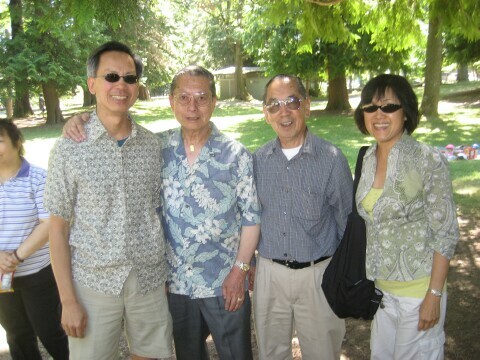 I am also thankful that senior diehards like Kwong Yi (廣一) and his wife can come out each year to join us. What counted most was at the end of the day we all had fun in spite of the hot weather. 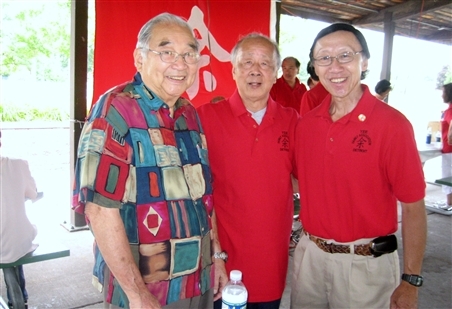 On a side note, one person that I will miss at this outing is Advisor Hem Fook (顧問：珷樂) who recently passed away at the age of 93. 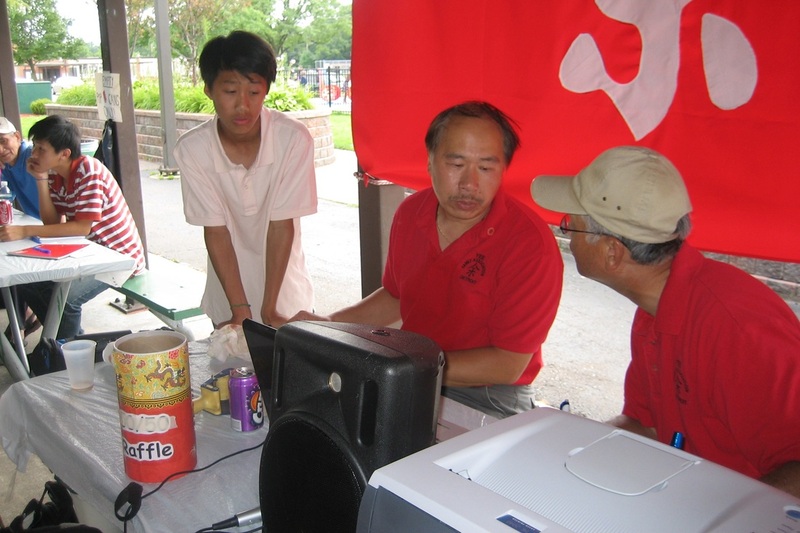 Advisor Hem Fook was such an asset to our family association, always there to help out and offer leadership. May he rest in peace knowing the torch will stay lit. 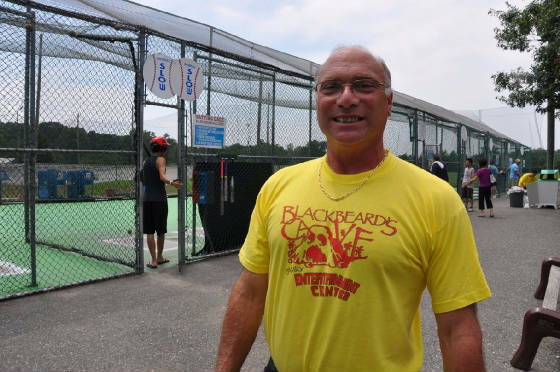 Finally, I want to thank Tony of Blackbeard’s Cave for handling our needs for this event. I also want to thanks our Ma cousins who help distribute the box lunches and all those who help make this event a success. Hope to see you all next year. 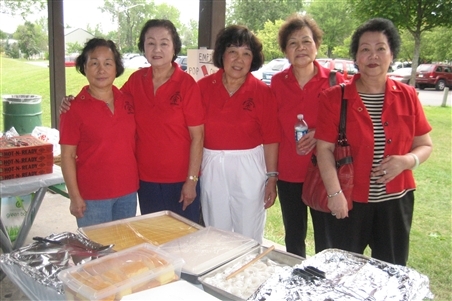 The 2010 Detroit Yee Fung Toy Association Annual Picnic was held on July 18th at Capital Park in Redford, Michigan. 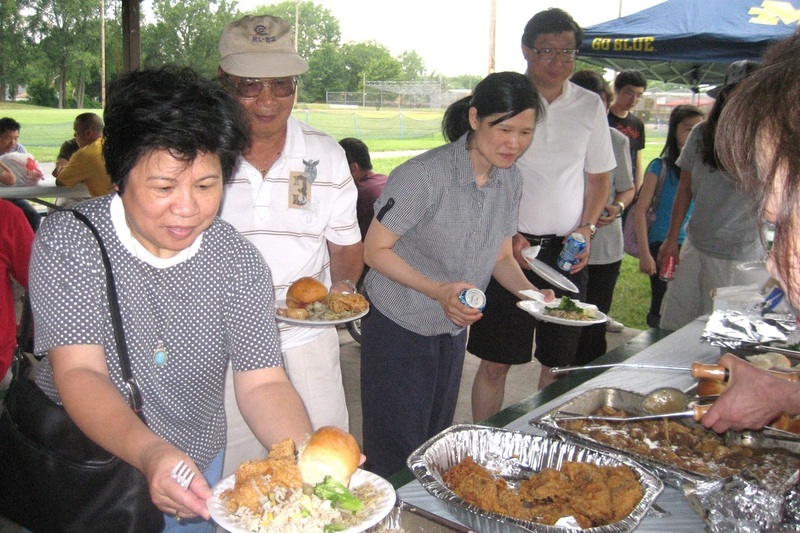 130 attendees enjoyed a luncheon of fried chicken, pizza, corn, mixed vegetables, fried rice, Chinese pastries, cake, and other goodies. 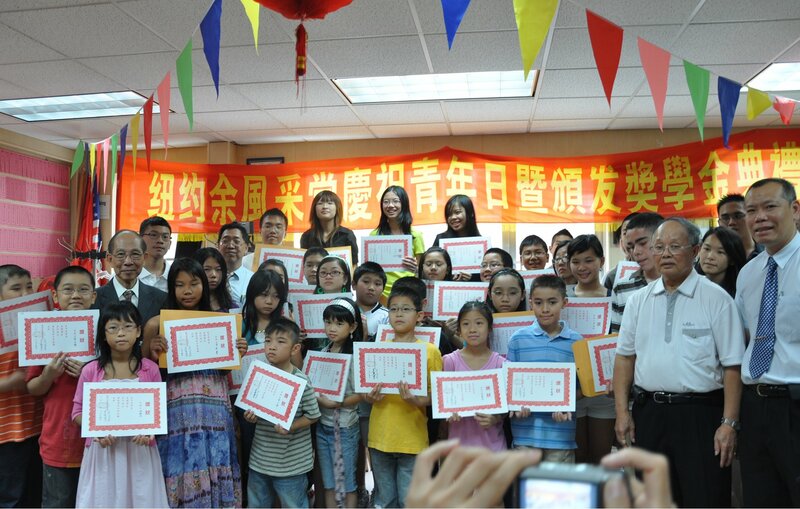 There were games for all and a presentation of scholarship money to 49 recipients. 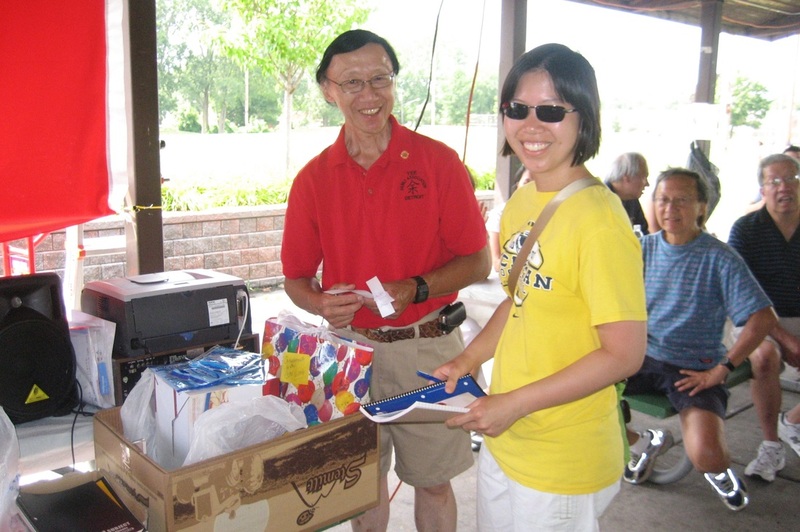 In addition, door prize drawings were held for various prizes donated by the association members and the Detroit association. 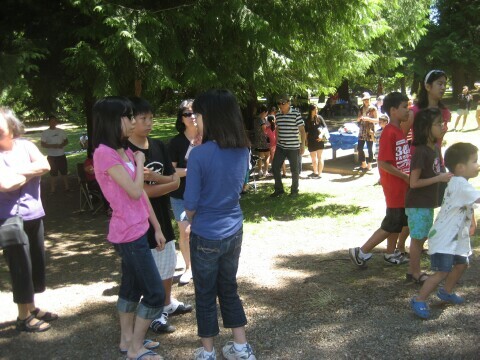 The 2010 Seattle Yee Fung Toy Association’s annual picnic was held on July 25 at the Woodland Park picnic area #3. 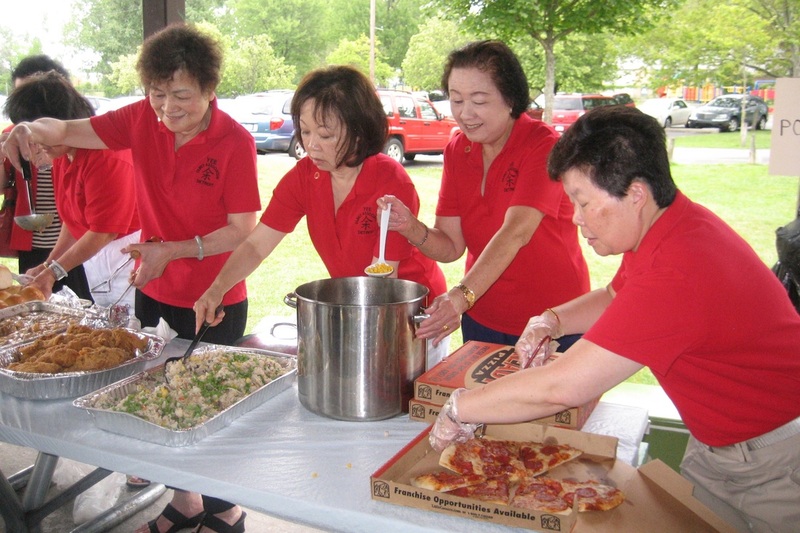 This was the 56th annual picnic for the Seattle Chapter. 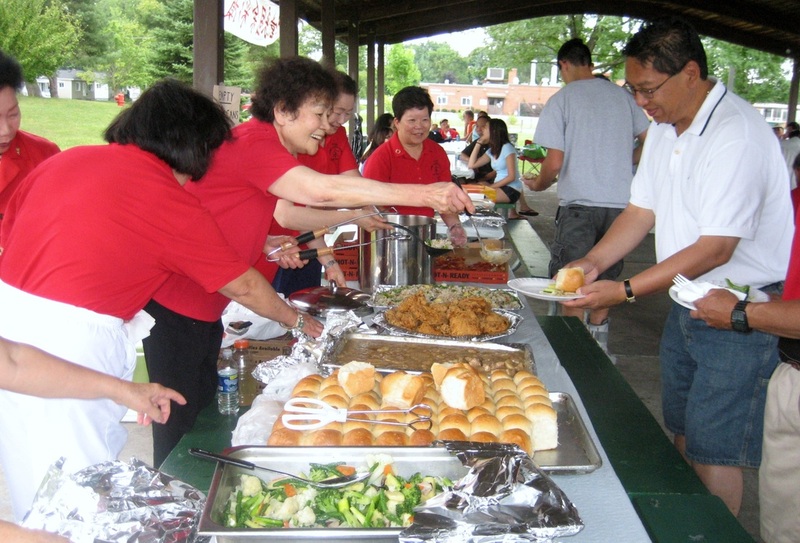 In addition to the plenty of good food, the program included the annual scholarship awards which include 23 recipients and the drawing of many cash and non-cash prizes. 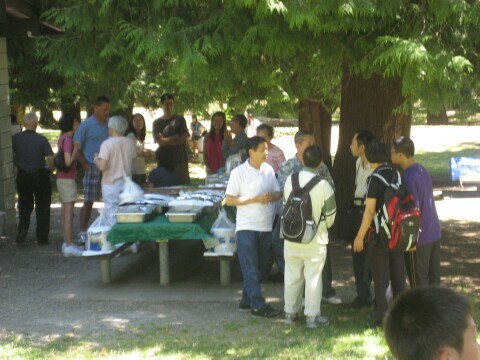 The weather was very warm and sunny for the picnic. 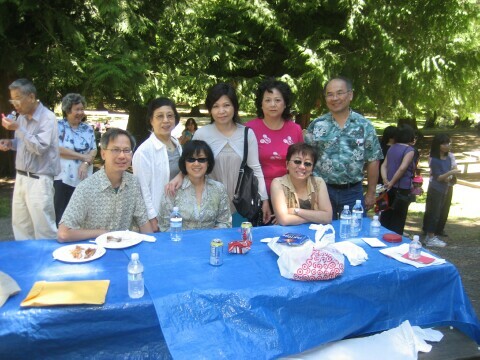 Special guests this year included Jim Yee (and spouse Betty Yee), President of the Vancouver Yee Fung Toy Association, Martin (and spouse Rosa Yee, daughter Annabelle Yee), Vancouver Chapter Secretary and friend Mrs. Amy Wong. 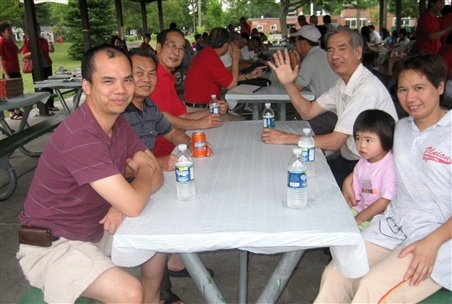 Attending the picnic also included Mr. Man Po Yu and family, arriving only a few days from Sun Wei, China. 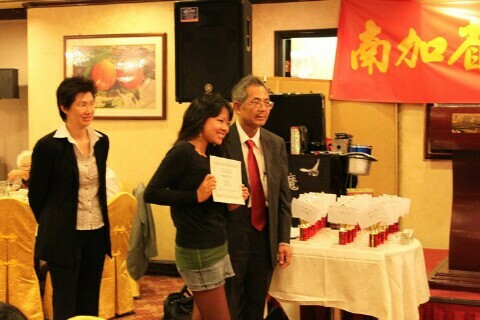 Ms Carmen Yu was responsible for the distribution of this year’s scholarships. 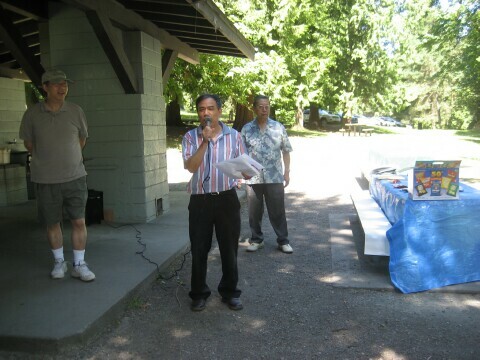 Seattle Chapter President De Shum Yee gave the welcome speech and announced that the Seattle Chapter will be hosting the U.S. National Yee Convention on August 11-14, 2012. 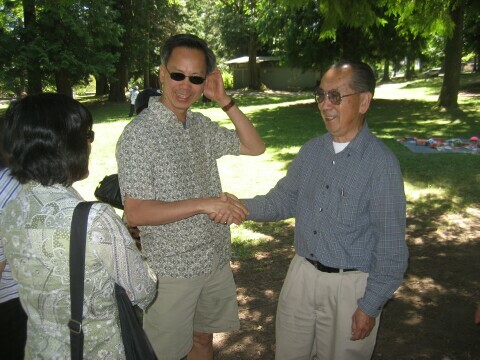 He asked all Seattle Yee members to plan to attend this event. 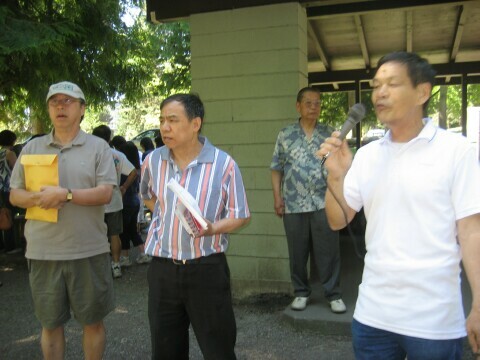 Jim Yee sent greetings from Vancouver and Fred Yee, Seattle Chapter Advisor offered the thank you speech. 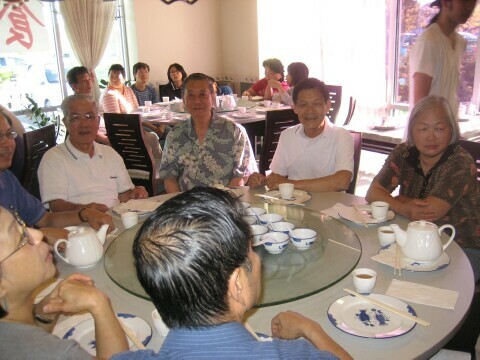 The day ended with about 30 members attended an appreciation dinner at the Renton Seafood Restaurant. The Vancouver chapter visitors attended the dinner and said farewell for another great visit to Seattle. 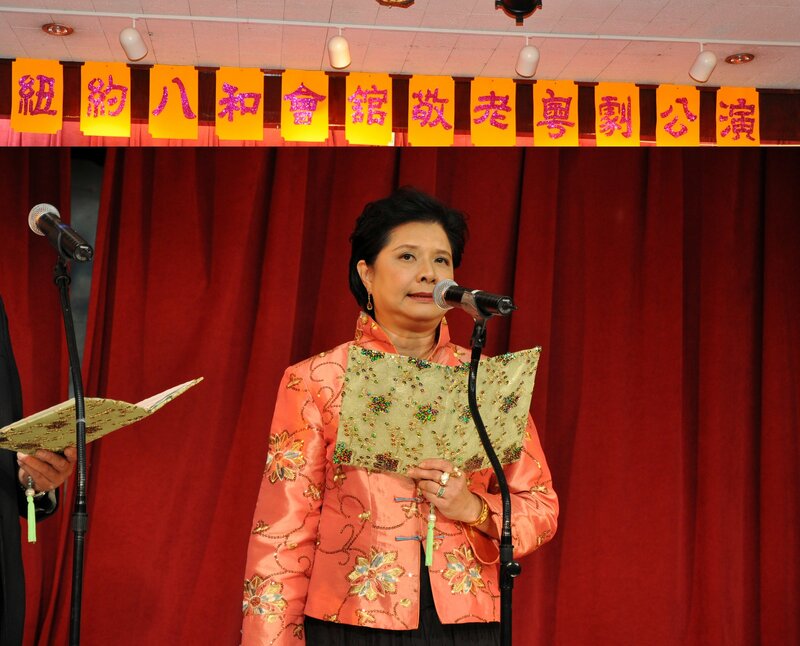 The New York Yee Fong Toy Association Women’s League President Kathy (余慧儀) had her singing debut on July 31, 2010. 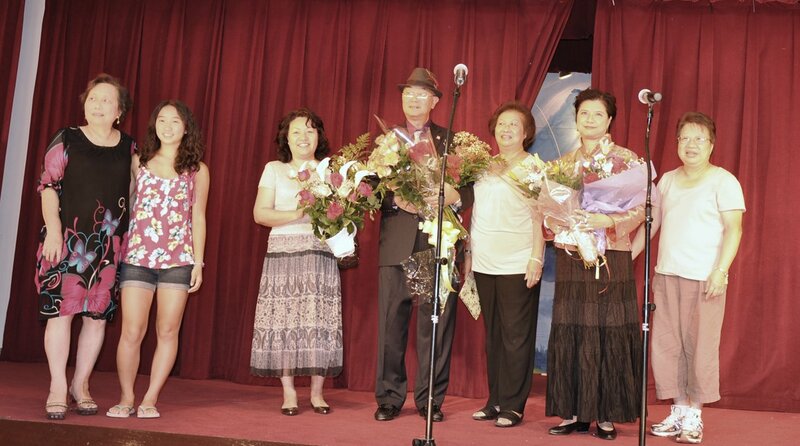 She and our member Yee Chek W (余卓活) joined the New York Bard Wo Association (紐約八和會館) honoring seniors’ event to perform Chinese opera at the Chinese Community Benevolent Association (CCBA) auditorium. 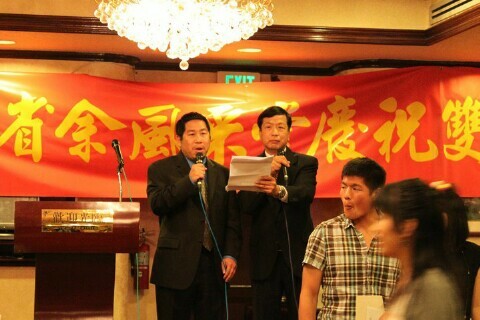 They sang the popular Chinese song 〝鳳閣恩仇未了情〞. The event was a complete success. The place was filled to its capacity. Their performance received overwhelming applauses. 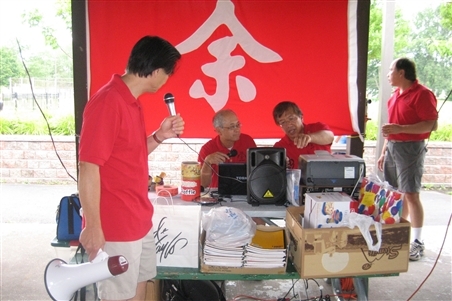 President Frank (主席余宏基) and many Women’s League members also came to show their supports. 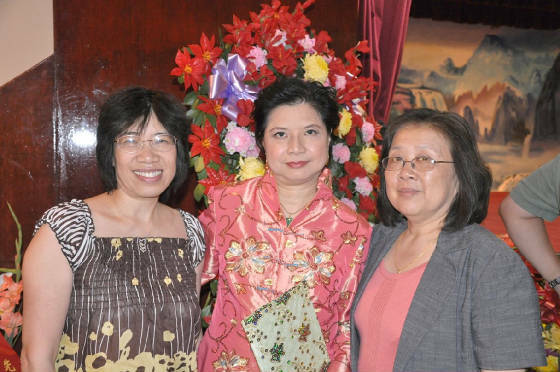 Kathy has a passion for Chinese opera. She started her formal training from an acclaimed music master for just a few months. Her performance received a great deal of adulations from her audience. 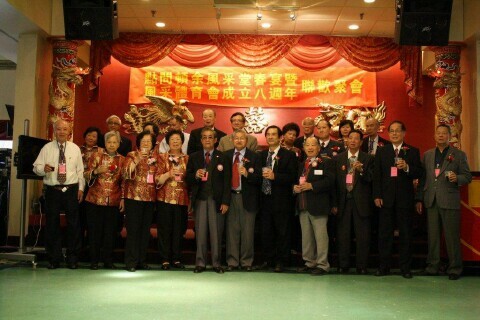 The Yee Fung Toy (YFT) Association of Houston annual summer party was held at Palace Bowling Lanes on afternoon August 1, 2010. 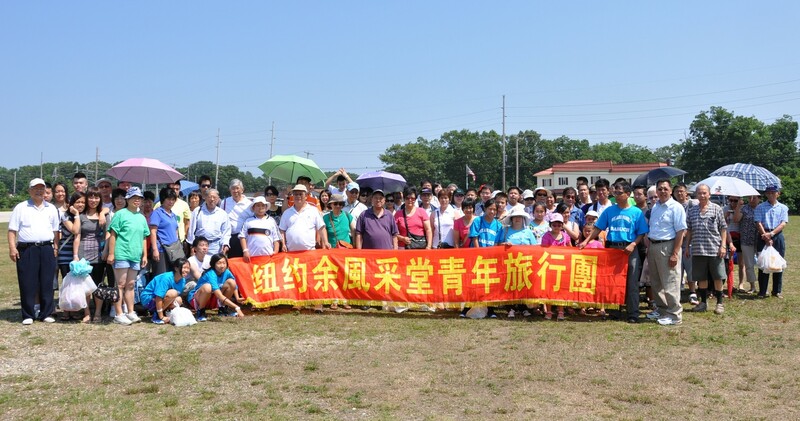 More than 50+ people participated in the afternoon event. 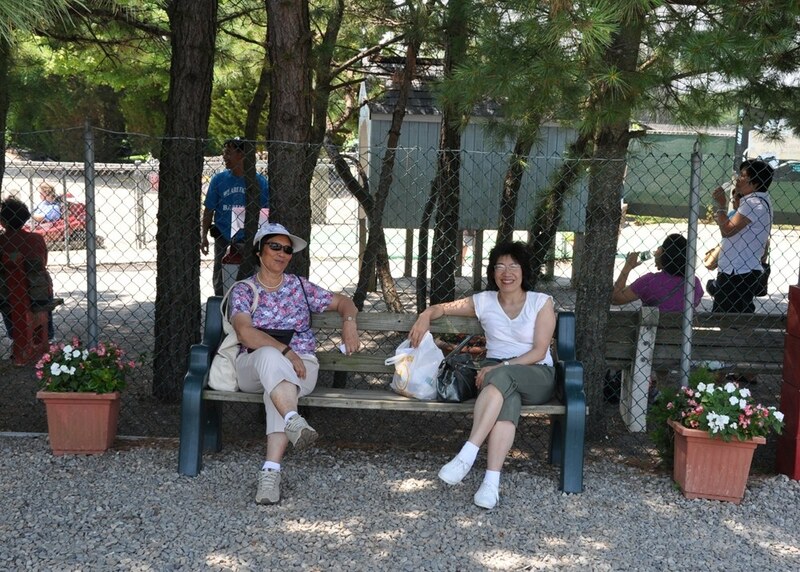 All participants enjoyed either bowling or the social conversation with each others. Everyone had a wonderful time. 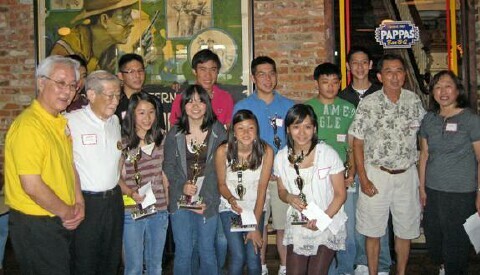 Later that evening, the association held the scholarship awards at Papa B-B-Q. 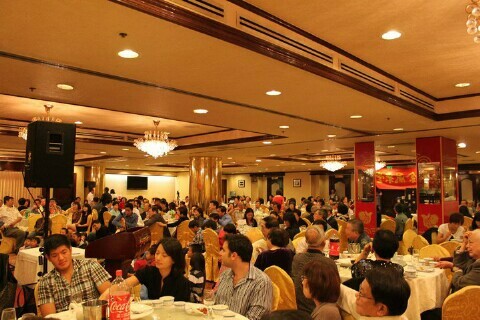 More than 104 people participated in the evening event. With our strong families and characteristic cultural emphasis on good education, the association is always delighted to highlight our annual gathering occasion with scholarship awards to our youths to encourage them to set good examples and to continue their excellence in their every endeavor. 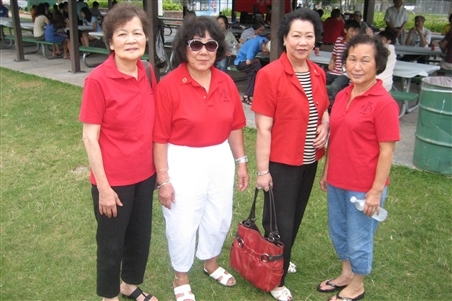 Our Scholarship Committee was led by long-time Chairwoman Ms. Vickie Ong. As listed below, Ms. Vickie Ong introduced the awardees of 2009-2010 at their respective levels of educational accomplishments, with acknowledgements as well of their rightfully proud parents. Good luck next year to all the youth members! Continue striving for excellence! After the awards, dinner was served. 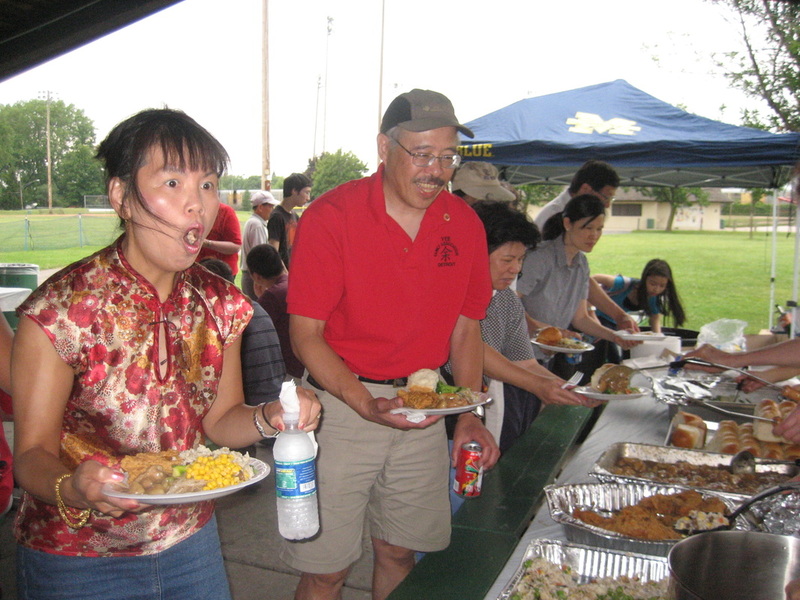 Everyone enjoyed the sweet tea, bread, pasta salad, and the barbeque meats. 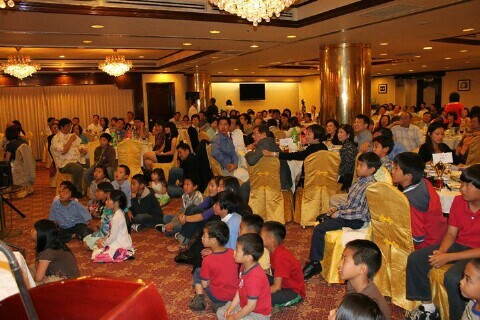 The whole evening event was under relax and joyful atmosphere. Go and enjoy a good summer and the rest of the year. Now that Yao Ming has fully recovered, we hope to see each other at the Houston Rockets season opener at the Toyota Center scheduled for the first week of November. 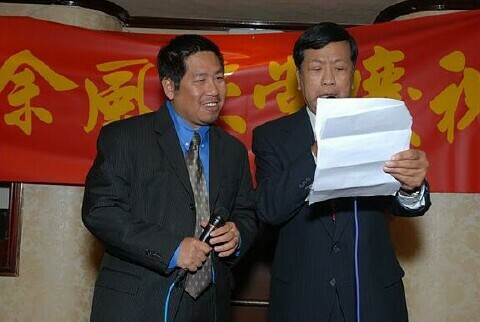 The YFT of Houston supported this function many times in the past. We look forward to seeing you there. 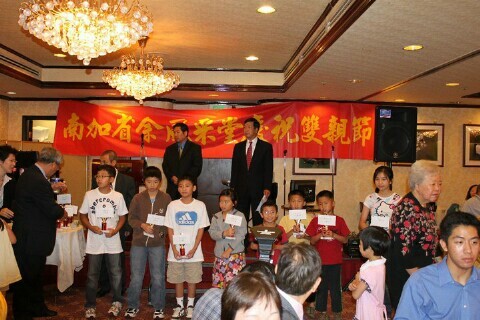 The New York Yee Fong Toy Family Association held its annual scholarship awards ceremony on August 15, 2010. 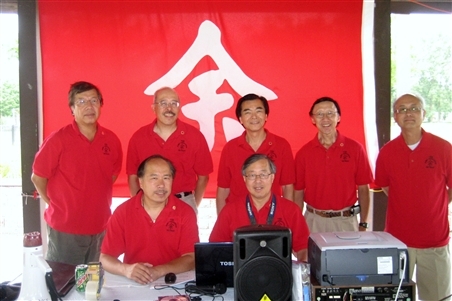 Since 1958, the Moo Kai Education and Welfare Fund has been providing scholarship incentives to children of members who can show academic excellence. This year we had 99 scholarship award recipients. We had 23 elementary school, 28 junior high school, 23 high school and 18 college/university students with 30 credits and a B+ or better overall average for the 2009-2010 academic school year. 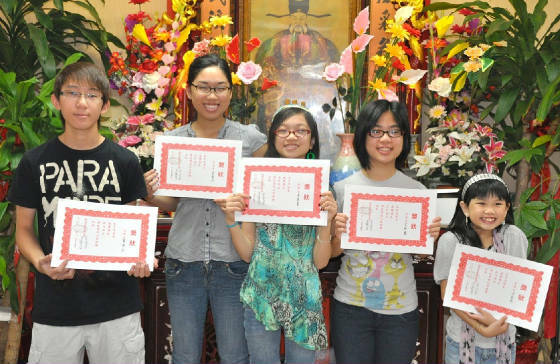 In addition, we had four students qualifying for the special Five Tong Association 「五堂會」award. 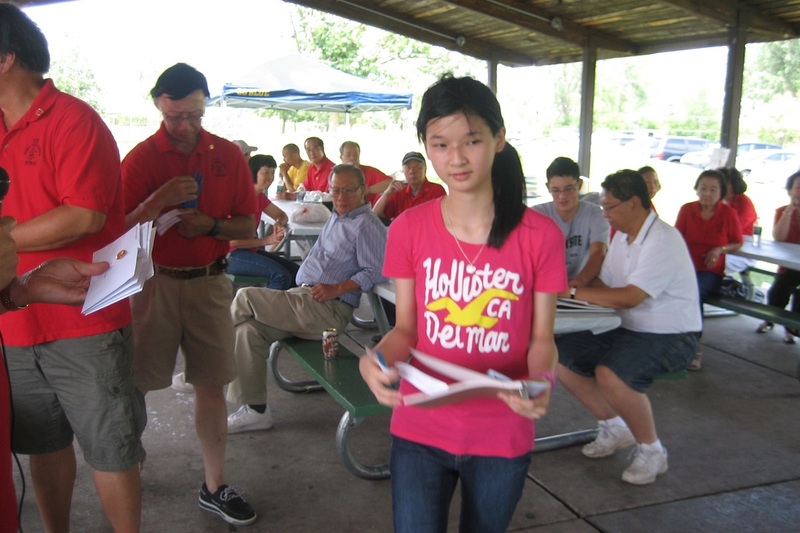 This special $500 award went to Jane Yee (余晶晶), a college student who had a 3.5 overall average or better and three high school seniors who had the top highest overall average along with an SAT score of 1700 or better. 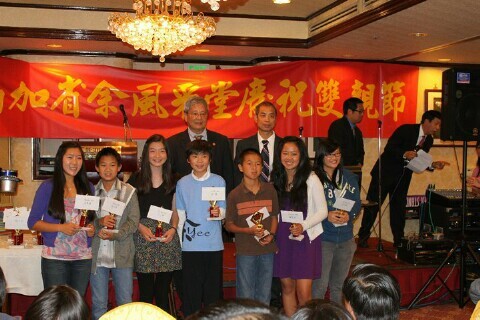 These high school seniors are Kenny Yu (余健明), Kyle Yee (余英勤) and Alex M. Yee (余嘉誠). 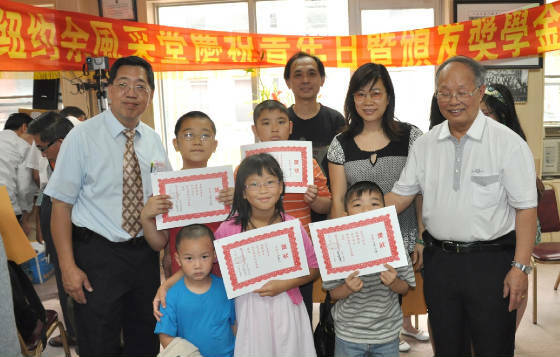 We also had 3 students who received awards just for attending Chinese school. 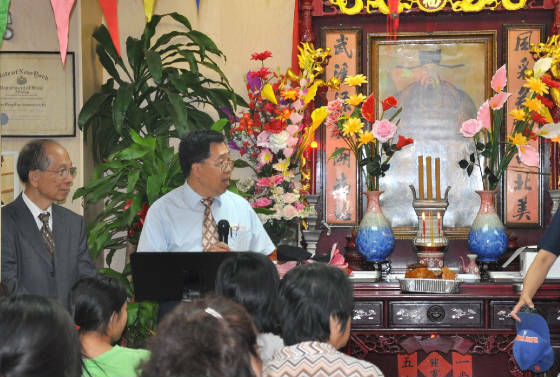 Although the scholarship ceremony started at 1:00 PM with the traditional ancestral service, the rest of the ceremony was definitely different. 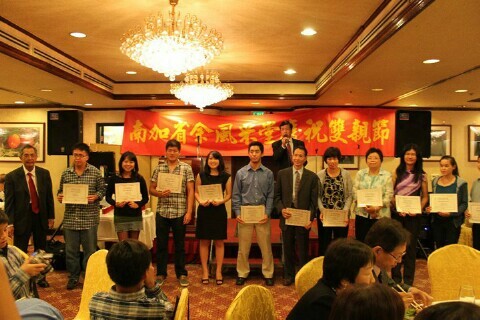 This year, the ceremony was held at our family association’s hall. 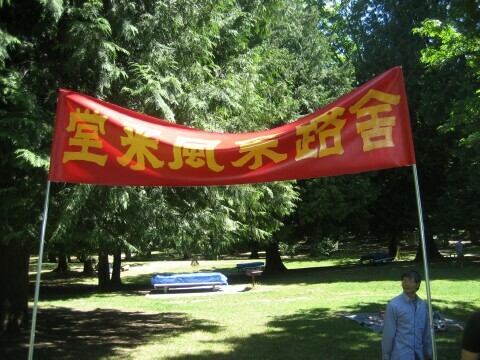 Also, this year the ceremony was held bilingual. 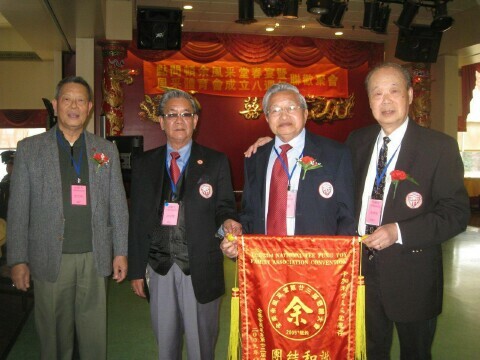 Speaking first in Chinese then in English, President Frank (主席余宏基) welcomed everyone and introduced our Eastern Grand President Kenneth (美東總長余景新), Advisor Andy (顧問余應昌), Advisor Gong Sum(顧問余鋼深), VP Dian Rong (副主席余典榮), English Secretary May (美珍), Chinese Secretary Foo Quock (富國) and Advisor Kwong Yi (名譽顧問廣一). 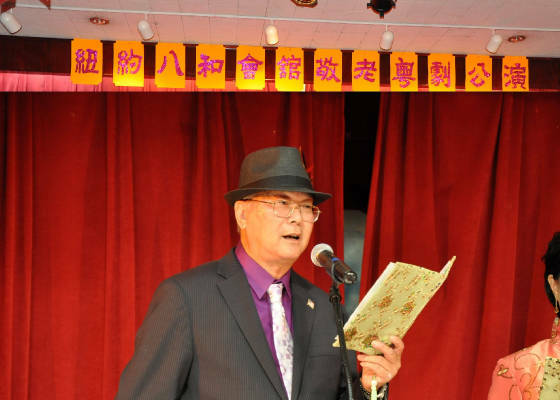 He then wanted to pay tribute to Advisor Hem Fook (顧問珷樂) who past away on July 12 at the age of 93. 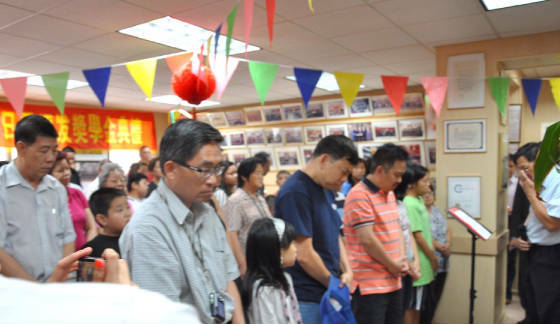 We observed for a moment of silence for Advisor 珷樂 who has dedicated over 40 years of service to our family association. 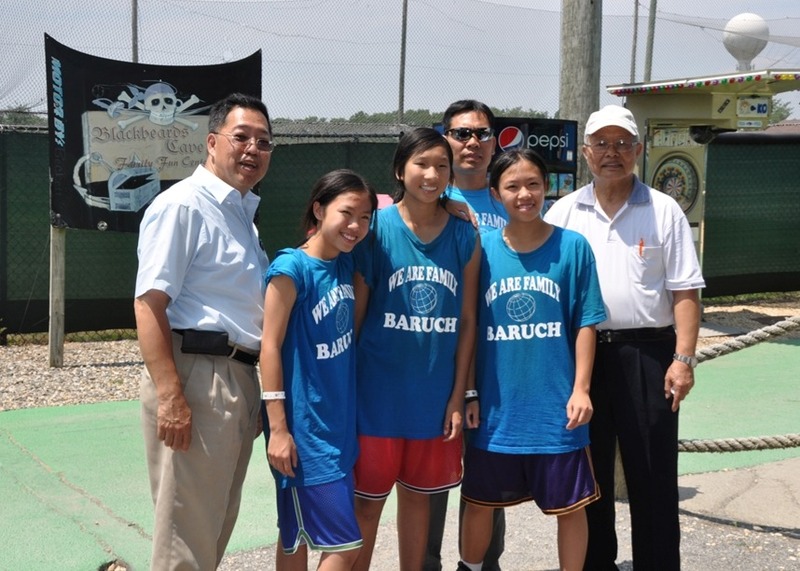 Next, President Frank thanked the scholarship committee and all those, especially Women’s League Presidents Kathy and Elaine (婦女組組長余慧儀及余昭美) along with their staff, for working so hard to process all the applications. Frank continued by congratulating all the students and their parents for a job well done and continued success. 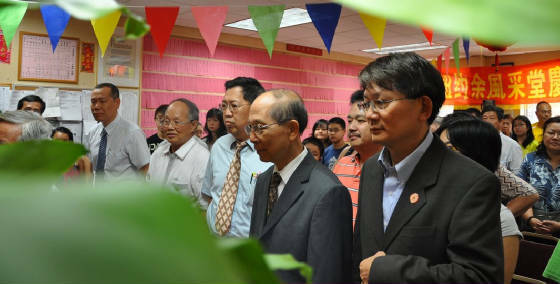 He also remarked that last year, the remaining memorial scholarship funds have been exhausted. He also echoed the message of previous years that the youth participation is important to our family association. However this year, it was all addressed in English to the audience. 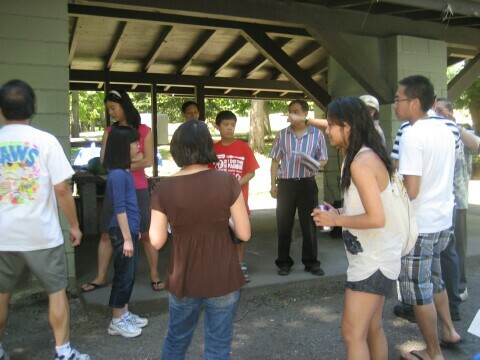 The bottom line is better communication might lead to more involvement by our youths in our Youth League. 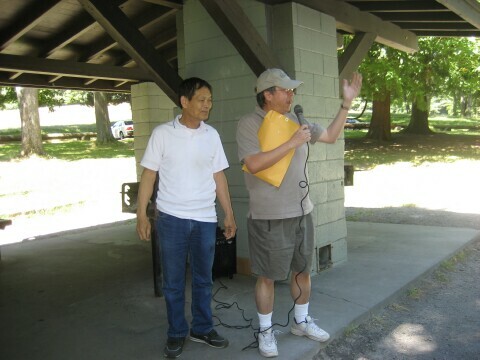 Eastern Grand President Kenneth then briefly addressed the audience followed by Advisor Andy who spoke bilingually about our scholarship program. 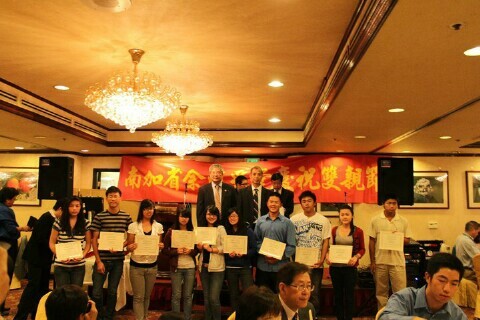 Due to space limitations, holding the scholarship ceremony at our hall was a challenge. 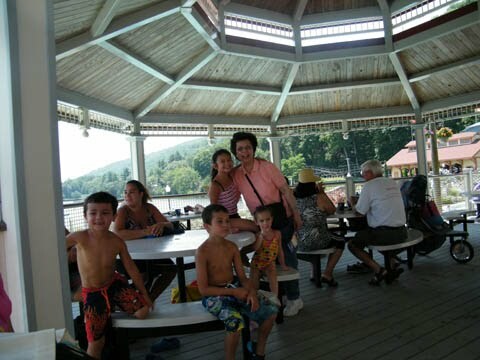 However, the opportunity to get together as one big family was worth the inconvenience. 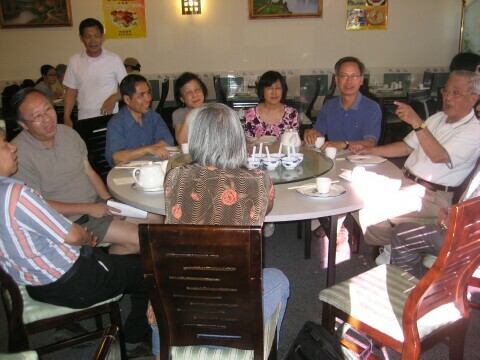 The informal atmosphere made everyone felt more comfortable to chat and interact with each other. This event turned out to be a winner for everyone. Change is here. Now that summer is over, it is Back to School for most students. 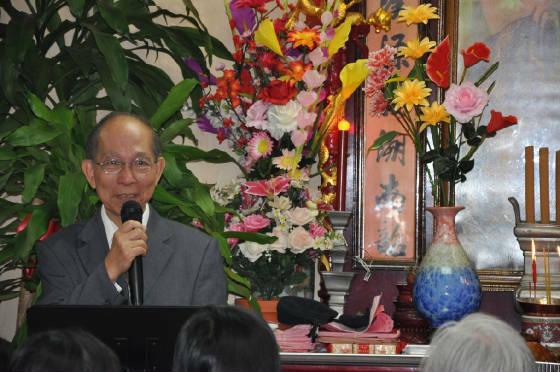 The next issue of the Yee Fung Toy Global Village Voice will be published in mid December, featuring reports of scholarship awards and celebrations of the Moon (mid Autumn) festivals at Yee Fung Toy associations around the world. 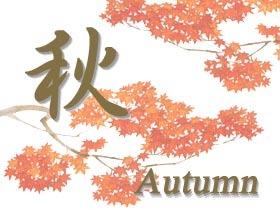 Please submit your articles to the Editor via email (editor @ yeefungtoy.org) or postal mail (The Editor, 226 East Georgia Street, Vancouver, B.C., Canada V6A 1Z7) by November 15.